They took 3 hours to cook in the solar cooker, and they didn’t get crispy. I would say this was a fair way to get squash, but maybe it needs longer to be more like a French fry? Perhaps a bit of oil would have helped? 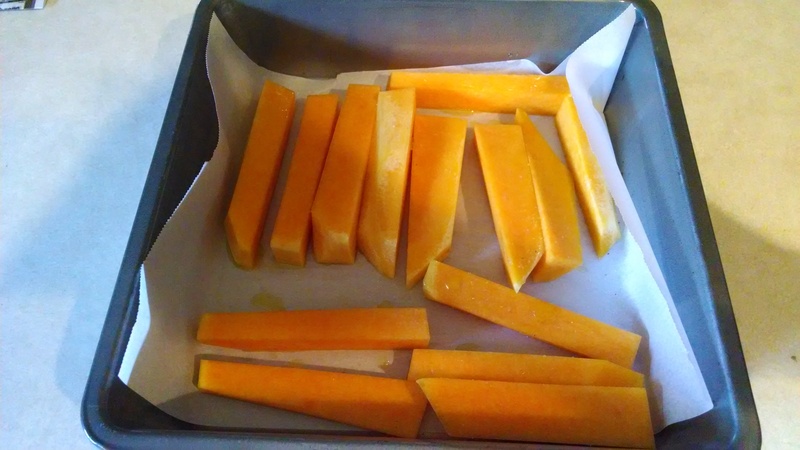 Peel, seed, and cut one butternut squash into strips. Roast on parchment paper till crispy. Rating: fair try. I will do this again, but probably with some better sun and a little oil. My kids and husband ate them like fries though, so it wasn’t a bad side dish for dinner!